We mixed all the ingredients into the a saucepan. 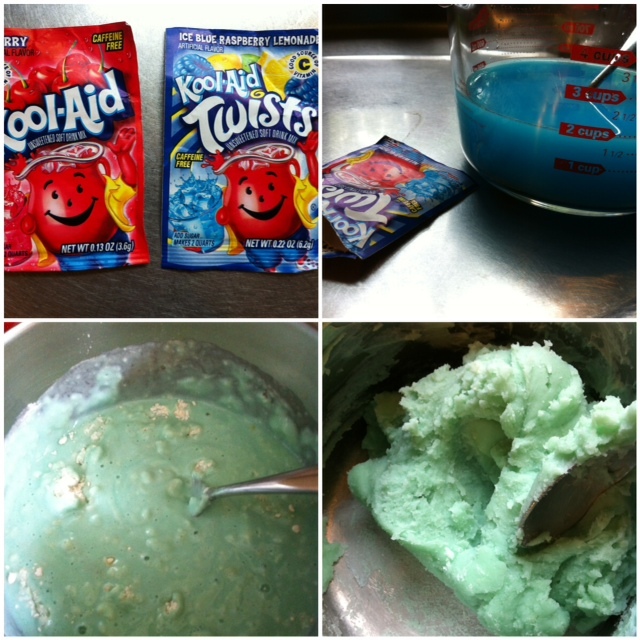 Then poured the Kool-Aid water into the saucepan and stirred all the ingredients together over medium-high heat. After a few minutes the mixtures started to come together and pull away from the pan. I then took the dough off the heat and let it cool a minute before kneading it a few times and giving it to the girls. 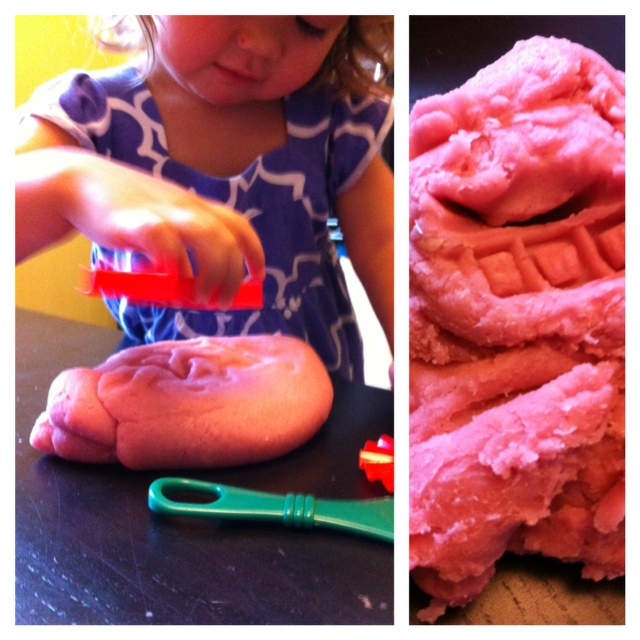 The Kool-Aid play dough (we made two batches one Ice Blue Raspberry Lemonade and one Cherry) smelled delicious. The girls pulled out our play dough tools and had a great time playing and the kitchen took on the sweet Kool-Aid smells of summer!